Don't choose between having a comfy sofa or bed with this superb and elegant design that works in any home and bedroom environment. The Handmade Wood Modern Daybed The handmade Modern Daybed is equipped to become the focal point in any type of living space. You can put it in your lounge, bedroom or maybe even in your conservatory, you can put this design of bed frame practically anywhere in your house. It’s easily one of our most innovative designs to date. We decided that we would combi..
Daybeds are part of our latest range of stylish, contemporary beds. Multifunctional and practical in everyday situations, Daybeds can fit into any place around the home, not just the bedroom. A modern answer to the modern home, working both as a bed and cosy place to simply relax on a lazy day. While being in a league of its own, it’s also a part of our collection of quality handmade Low beds. Taking inspiration from the Japanese tradition of near-floor sleeping, it’s a suitable addition even for loft and attic spaces too, fitting in perfectly where your average bed would have a hard time. They take elements of design from our Space Saving bed range and the Guest bed range, combining the two to create a quality, handcrafted wood bed. Suited excellently to you and your needs, it’s not a chance you want to pass up on. We’re proud of our experienced craftsmen and place our trust in their skilled hands. We stay true to our long-standing heritage of bed-making in Britain, using the tried and tested mortise and tenon joints to fasten our beds together. Each of our wood beds is handcrafted carefully to achieve the utmost of quality and refinement, even when it’s something a little out of the ordinary. Our bespoke service gives you the opportunity to take your bed to the next level of customisation. We’ll make your bed just the way you need it, still using the traditional methods that have been our hallmark of quality since the beginning. Any alteration you might need, adjustments to size, or a customisation of the design, we’ll do whatever it takes and that little bit more to make sure your handmade wood beds is precisely the way you want it. If you’re looking for a touch of personalisation on your wood bed frame, don’t hesitate to view our vast selection of stunning color finishes. You can choose the one you need to fit right in with your decor, making it feel like it’s been there all along. Some of our customer favourites are a shining white, subtle gray, smooth black and soothing chocolate. If you’re after something with a little more classic appeal, we don’t just make our beds out of Solid Scandinavian Pine. 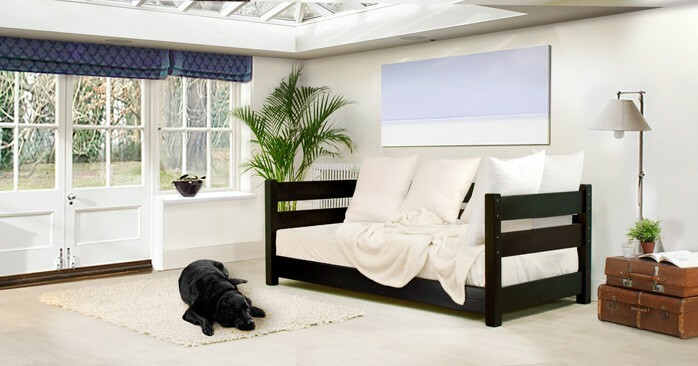 You can have your bed handcrafted from any of our tempting range of solid hardwoods. Especially prominent are the regal Oak and dark Walnut, guaranteed to stand proud as the centrepiece of your bedroom. We understand our responsibility to the environment and make the utmost effort to make sure the timber we source is from both FSC and PEFC approved forests. Being sustainable is of great importance to us here at Get Laid Beds, so it's only natural that we offer an 11 year guarantee on every single wood bed frame we offer. 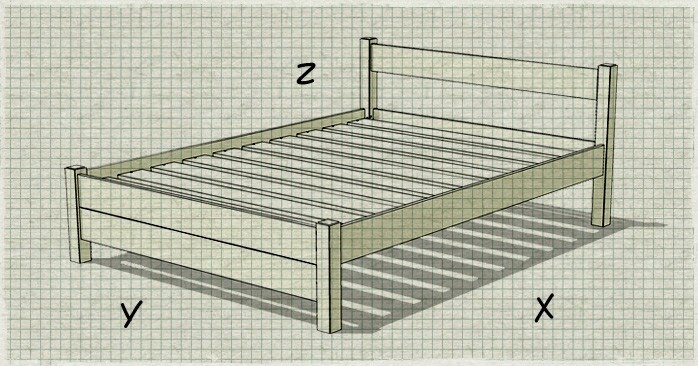 It simply doesn't make sense to replace and entire bed for a small problem. We’re proud of our handmade wood beds, but we’re also proud of our customer service. We aim for the highest standard when providing for our customers, from hand-making your wood bed to it arriving at your doorstep. If you’ve got any questions about our products or service, email us at hello@getlaidbeds.com or call us on (646) 851-2943.